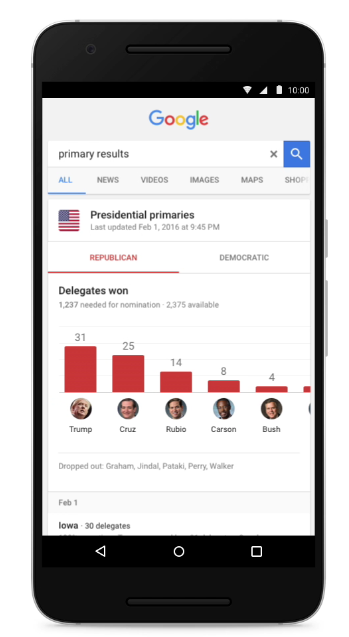 If you plan to keep tabs on the current primary election situation or want to quickly find out where candidates stand on certain issues, Google Search has your back. 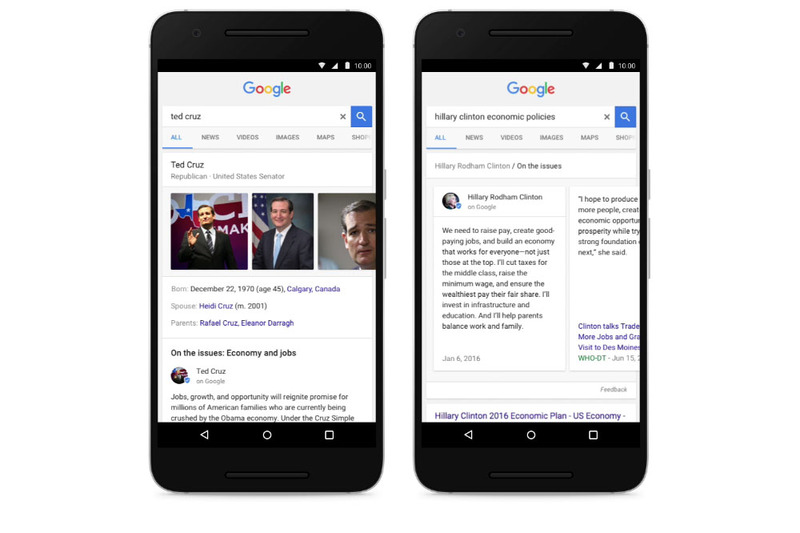 Thanks to Search on mobile, you can easily find statements and quotes on hot topics or policies (search for things like: “hillary clinton economic policies”) or get general information about a single candidate and their stances (just search for: “ted cruz” or “bernie sanders”) without diving into the hundreds of political websites out there vying for your attention at the moment. If the results are all you care about because you already know all there is to know from each candidate, then to turn to Google as they keep up with primaries and results through a simple, “primary results” search. That search will return the election schedule, but also “live” results and a tally of how many delegates each nominee has received.